In early July, the Dolls set out to find the raddest skate photo of the summer. As the submissions flowed in, a winner began to emerge. 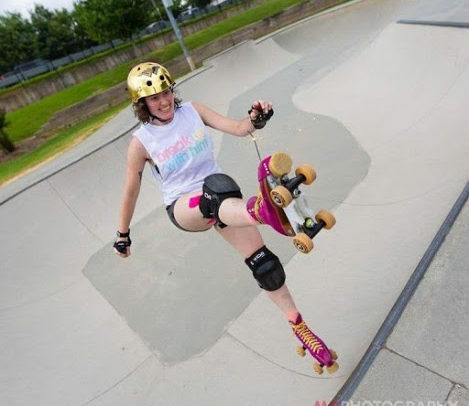 Not only is Michelle skating the bowl with a smile, but check out the sparkler on her toe cover! 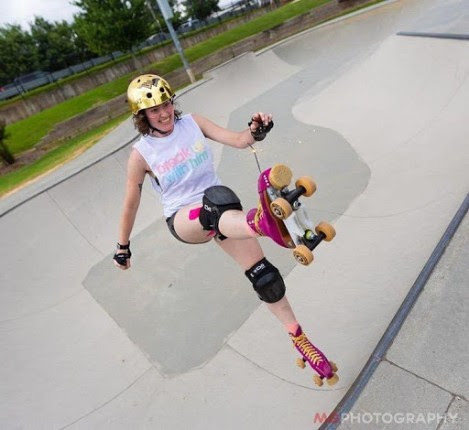 Michelle Meredith hails from the Middle Georgia Derby Demons and loves spending her time at the skate parks. Marshall Garlington beautifully captures this sparkling moment. The Dolls may be without a full time facility, but the skaters always find a time and place to skate!